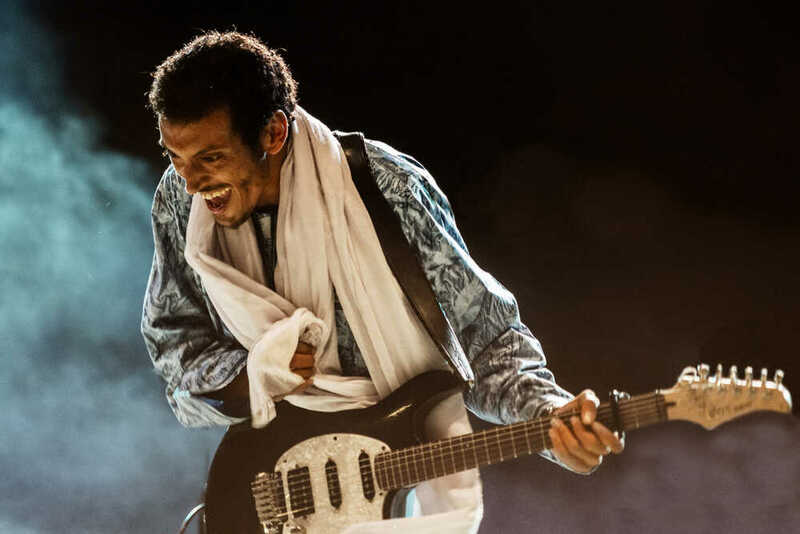 Guitar virtuoso Bombino unites the best of Tinariwen and Terakaft. The Touareg from Niger rallied fans behind him like Robert Plant and Keith Richards. Last album Nomad was produced by Dan Auerbach of The Black Keys. For the recently appeared 'Azel', fan of the first hour David Longstreth of Dirty Projectors, was the operator. The album was unanimously acclaimed, a.o. by Pitchfork and Spin. 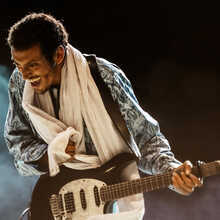 The music of Omara “Bombino” Moctar is a combination of African rhythms, psychelics with strong influences of Jimi Hendrix, Dire Straits, Ali Farka Touré, Led Zeppelin en The Rolling Stones. Fun fact: in 2006, bombino recorded a desert blues version of the Rolling Stones classic “Hey Negrita” together with Keith Richards en Charlie Watts. Later that same year, he took Angelina Jolie in tow through the desert of Niger and tought her everything on touareg music and the nomadic life in the Sahara. How good everything might sound on record: Live bombino is even better!! The combination of hypnotizing grooves and riffs and the charisma and energy the man radiates, catapults you into another galaxy. Support is the 35 year old master guitarist from Tennessee, William Tyler.